In case you missed it last night, the first episode of the new Pressure Cooker tv show I wrote about in my last post will air again on SUN TV on Thursday, Nov. 6 at 10 p.m. The show has also been rescheduled to air on Men TV on Tuesdays instead of Mondays, starting tomorrow, at 7 a.m., noon and 7 p.m.
There’s a new cooking show starting on TV tomorrow night. It promises to turn up the pressure on 16 Canadian chefs who test their cooking skills, stamina, and ability to handle stress and manage their egos as they attempt to outlast each other in an intense series of cooking competitions. The Pressure Cooker pits the chefs against each other in a series of cooking competitions designed by chef Mark Walpole that require them to create specific dishes from mystery boxes of ingredients in very short time frames. To add to the excitement for viewers, the chefs wear wireless heart monitors that record their stress levels. The elimination-style format of the show gradually whittles the starting line-up down to two chefs who compete in a final grueling cook off. 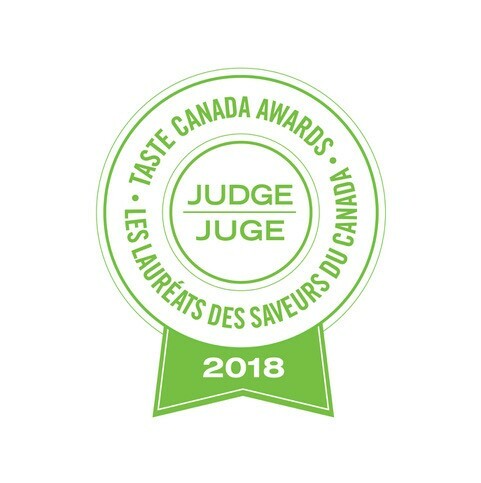 The Tasting Judges – chefs Mark Picone, Cornelia Volino and Tawfik Shehata – are a demanding trio whose job is to taste, critique and score the dishes. Their standards are high and they aren’t afraid to voice their opinions, in no uncertain terms. Kitchen Judges monitor the competing chefs’ performances as they prepare the dishes. They are tasked with eliminating chefs from the losing teams. As a representative of one of the sponsoring organizations – Egg Farmers of Ontario – I was present for some of the week-long taping of the show which took place at Niagara Culinary Institute in Niagara-on-the-Lake in July. Judging by what I saw then, the show promises to be very entertaining. I don’t know the final outcome; that was kept very hush-hush! However, the show’s producer, Alan Aylward of Forevergreen Communications Inc., says he couldn’t have scripted the ending to be more exciting. You can see a trailer of The Pressure Cooker at www.thepressurecooker.tv. The hour-long show will air on Sunday (Nov. 2) at 10 p.m. on SUN TV and on Men TV Monday (Nov. 3) at 7 a.m., noon and 7 p.m. It runs for 9 episodes. There will be an online component to the show where visitors to The Pressure Cooker’s website – www.pressurecooker.tv – are invited to answer trivia questions to win prizes. Did you know that the small baby carrots you buy in small plastic bags are made using large crooked or deformed carrots which are put through a machine that cuts and shapes them into baby carrots? And, did you also know that once the carrots are cut and shaped, they are dipped in a solution of water and chlorine (the same chlorine used in swimming pools) in order to preserve them since, once peeled, they don’t have their skin or natural protective covering? If you keep these carrots in your refrigerator for a few days, a white covering will form on the carrots. This is the chlorine which resurfaces. At what cost do we put our health at risk to have aesthetically pleasing vegetables which are practically plastic? if you care about your family and friends, please pass this information on to them to let them know where baby carrots come from and how they are processed. Chlorine is a well known carcinogen. If you like to munch on baby carrots and you’ve wondered about the validity of the information in this email, consider these facts. Yes, baby carrots may indeed be formed by a machine. They may also be carrots grown and harvested at a small size. And yes, they are dipped in a diluted solution of chlorine and water. This is an ACCEPTABLE PRACTICE done to ensure the water the carrots are washed in remains sanitary, and to prevent the growth of spoilage microorganisms on the carrots. There is no evidence that the amount of chlorine used is harmful. The white discolouration that sometimes forms on carrots is NOT chlorine residue. If it was chlorine, you would be able to smell and taste it. The white discolouration is a result of moisture loss from the surface of the carrots. This will naturally occur on the surface of any peeled carrot as it dries. Chlorine is not harmful if used appropriately. Our drinking water contains chlorine. Chlorine is often used to sanitize dishes, cutting boards and cooking surfaces. * www.snopes.com – This web site is a great place to visit if you hear a claim (food-related or otherwise) you’re not sure about. The site is well known for its debunking of false claims, including the one about baby carrots and chlorine. * Joe Schwarcz’s article about baby carrots written for the Montreal Gazette in April. Schwarcz is the director of McGill University’s Office for Science and Society. Who hasn’t heard of the 100-mile diet, the eating regime that encourages consuming a diet of foods grown within a 100-mile (or 160 km) radius of where one lives? This “diet” has recently been made popular by Alisa Smith and J.B. MacKinnon who lived the 100-mile diet for a year in Vancouver, then documented their experience in a book appropriately titled The 100-Mile Diet (Random House, 2007). There is also a blog, www.100milediet.org, which provides inspiration and recipes for eating locally. California-based Alice Waters and Toronto’s Jamie Kennedy are chefs who have promoted local dining in their restaurants for many years. Food writers Anita Stewart and Elizabeth Baird are among the many cookbook authors and magazine writers who, for years, have promoted the joys of eating the rich bounty of foods produced close to home. In 1995, my friend and fellow home economist Pat Hughes published Savour the Seasons, a cookbook written with her colleague Eleanor Cameron. It contained menus and recipes that reflected foods available seasonally. There are a host of similar cookbooks on bookstore shelves these days. There are many consumers who consistently shop at their local farmers’ market or purchase locally grown foods at their neighbourhood grocery store, grow vegetables in their garden (freezing or canning the surplus), and consciously attempt to eat according to the seasons. I’m all for eating locally grown and produced foods as much as possible. I will admit, however, that I couldn’t live only on foods grown within 100 miles of Kitchener. There would be too many favourite foods I’d miss eating – bananas, mangoes, chocolate, oranges and olives, to name a few. But there are important benefits to buying Ontario-grown or produced foods as often as possible and enjoying foods as they come into season. It helps support the local economy and our Ontario farmers. The food you consume will not have travelled a long distance and therefore should be fresh and flavourful. The fewer miles food has to travel, the lower the fuel costs and the less strain there is on the environment. I’m fortunate that Kitchener-Waterloo is a small enough community that within minutes I can be beyond city borders and into the country where farm land is plentiful. It is easy to enjoy what rural and urban lifestyles have to offer, including the smell of manure that has wafted into our neighbourhood several times in the past few weeks. I try to consider the aroma a reminder that my agricultural cousins are busy doing their job to ensure we all have food on our tables. I truly hope the “eat local” movement is not a passing trend. In an article written by Julia Aitken in the Toronto Star on June 18, 2008, manager Alison Fryer of The Cookbook Store in Toronto included the 100-mile diet as one of the top 10 worst trends she has witnessed in her 25 years selling cookbooks. Just one person’s opinion, of course! If you live in Waterloo Region and would like to meet Smith and MacKinnon, they will be in our area on September 17 for One Book One Community events. You will find them at Your Kitchener Market from 10 a.m. to 10:30 a.m. where they will be signing copies of The 100-Mile Diet. There will be a 100-Mile Mini Market at the market that day as well. Copies of the The 100-Mile Diet will be for sale along with produce grown within 100 miles of the market. Exhibits will showcase the benefits of eating locally produced food. Smith and MacKinnon will be reading from their book at 7 p.m. on September 17 at the Kitchener Public Library. One morning last week I and a couple colleagues cooked scrambled eggs for brunch for about 100 people. Although we didn’t have access to a full kitchen, cooking the scrambled eggs wasn’t difficult. One of us cracked the eggs while the other two whisked, then cooked 1-1/2 dozen eggs at a time in electric frying pans. (We prepared about 3 eggs per person.) Once cooked, the scrambled eggs were kept in large covered stainless steel bowls until about 25 minutes before the start of the brunch. At that time, we placed the eggs into a warmed chafing dish. The group we were preparing the brunch for arrived about 20 minutes late (they were coming a distance by chartered bus). A few speeches preceded the meal which meant that brunch didn’t begin until nearly an hour after the eggs had been placed in the chafing dish. If eggs are held too long over heat (like on a breakfast or brunch buffet table where they are kept in a chafing dish or steam table), “greening” can occur. This is a natural reaction which causes the eggs to turn an unappetizing drab greyish-green colour. We wanted to avoid this so we took a few precautions to try to prevent the phenomenon. Use fresh eggs. Greening will occur more readily in older eggs. Use stainless steel equipment and utensils. Whisk in 1/4 teaspoon (1 mL) lemon juice for every 1-1/2 dozen large eggs or 1/2 teaspoon (2 mL) citric acid crystals for every dozen eggs. Cook eggs in small batches no larger than 3 L (3 qts). Once cooked, avoid holding the eggs over heat for more than 30 minutes. We were able to follow the first four suggestions above (opting to add lemon juice as per #3 because that’s what I had on hand). We also cooked the eggs until softly scrambled instead of cooking them until they formed very firm curds since we knew the eggs would sit in the chafing dish for a while where they would continue to cook from the heat. We didn’t want them the proteins in the eggs to tighten so firmly from the heat that they squeezed additional moisture from the eggs causing them to weep or exude moisture. Unfortunately we didn’t anticipate the delay in the start of the meal and the long length of time the eggs would sit in the chafing dish. By the time brunch concluded, the eggs had been in the chafing dish for nearly 2 hours. At that point, some egg had stuck to the pan, although it was not burnt on. (It washed off later with a little soaking and scrubbing. Next time, we’ll spray the chafing dish with cooking spray before adding the eggs.) There was also some minor greening of the eggs that were in contact with the chafing dish. Nothing too serious. No doubt following the tips above helped prevent a full-blown case of “green eggs” and bacon!